Timing is everything. There are times when you come across a book that you know is good, but you just can’t read it. 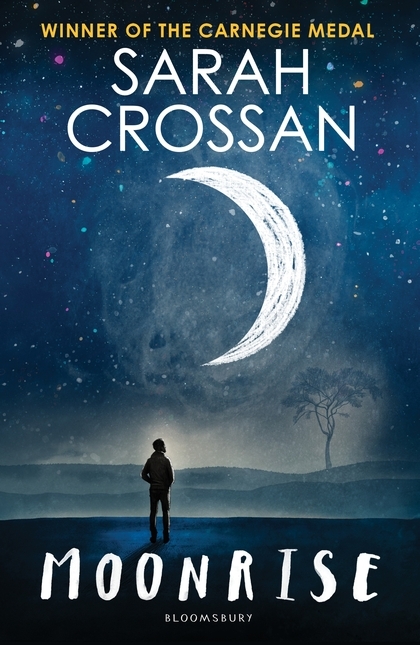 Moonrise, by Sarah Crossan, is one such book for me. Seventeen-year-old Joe hasn’t seen his brother in ten years. Ed didn’t walk out on the family, not exactly. It’s something more brutal. Ed’s locked up — on death row. I began reading Moonrise, and was immediately drawn in, but the subject matter was so heavy, I couldn’t read much. Again, I think it’s timing. I’m writing this review on a couch in my mother’s hospital room. She’s going down for multiple arterial stents in a few minutes. She’s been sick for a while, with things ramping up to a weeklong hospital stay preceding this procedure. I started reading Moonrise when all of my mother’s medical issues started coming to a head, and I think the book was just too much. It’s definitely a book I hope to revisit in the future, but since I’m not sure when, I wanted to share what other people have said about it. “This exquisitely well-balanced novel-in-verse is painful to read yet almost impossible to put down. … A must-purchase for collections serving thoughtful older teens.” —Eileen Makoff, Starred review for School Library Journal March 2018 issue.